Baalbeck Northern Access and Pedestrian Paths; Baalbeck Southern Access and Hay Qalaa: Urban Works and Construction of Sewer and Potable Water Distribution Lines and Their House Connections. 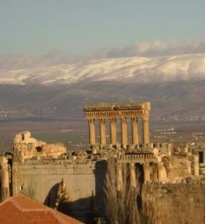 The works are located in the Northern and Southern parts of the center of the city of Baalbeck. The scope of works include urban works of upgrading of the city main streets for pavements and sidewalks, Historic Buildings Facades Rehabilitation; and the construction of sewer and potable water lines within. The tasks included construction of bituminous roads; drainage and surface sewer lines and house connections; potable water network and house connections; street lighting and electrical works, environmental impact assessment and mitigation measures. The project includes landscaping, parking and the tiling and paving of streets and sidewalks, as well as historic buildings facades rehabilitation. 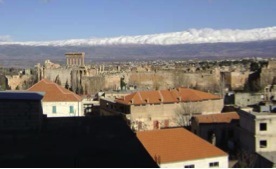 Rehabilitation of Historic City Centers and Urban Infrastructures Improvement for the Old City of Baalbeck; Rehabilitation of Five Mud Brick Houses in Hay El Qala'a. The rehabilitation of the Mud Brick Houses was done according to a methodology, which consisted to preserve the maximum of the authentic existing elements, and to rebuild the demolished elements according to the original design. • Graphic and photographic documentation, Demolition of incongruous elements. • Installing all pipes and tanks, and Electrical wiring etc. • Installing wooden sub frames, Mud Plaster works and Rebuilding of damaged stone walls.